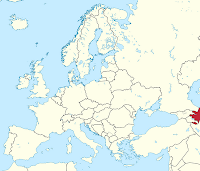 Azerbaijan is situated on the western coast of the Caspian Sea, in the eastern part of the South Caucasus. 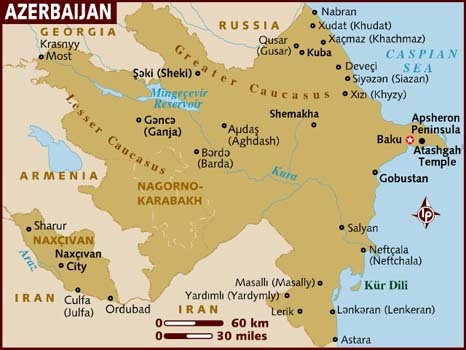 The northern frontier of the country with Russia (Dagestan) stretches from the coast of the Caspian Sea to the Greater Caucasus Mountains; the northwestern boundary with Georgia is formed by complicated configuration of mountains; the boundary with the Islamic Republic of Iran to south runs alongside the Nakhchivan Autonomous Republic and the river Araz to the Caspian coast with its humid subtropical climate. Azerbaijan is further bordered by Turkey to the southwest and by Armenia to the west. 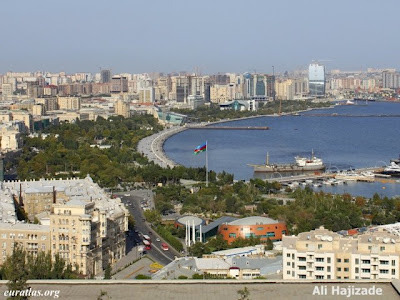 The capital city is Baku. Azerbaijan is a region with unique geographical, climatic and geopolitical characteristics. The present Republic of Azerbaijan has rather small territory but it is possible to encounter here 9 of 11 basic climate zones existing. There are vast steppes and high mountain ranges with the tops attracting climbers and those interested in wild nature. In Azerbaijan one can also meet plenty of curative, mineral and thermal waters, mud and oil for medical treatment. The protected areas occupy 2.4% from the total territory of the country and cover all basic climatic landscapes in Azerbaijan. Azerbaijan's environmental problems result in part from the effects of the economic priorities and practices of the former Soviet Union. General mismanagement of the country's resources has resulted in a serious threat to several areas of the environment. Air pollution is caused by industrial and petro-chemical plants, venting of natural gas from oil wells, burning of untreated garbage and exhausts from transport vehicles. Ground water pollution from oil spillage and leakage from pipeline and storage tanks resulted in petroleum hydrocarbons, heavy metals and possibly radiation contamination. Moreover, run off from heavy usage of fertilizers and pesticides in agriculture, factory wastes dumped into rivers, as well as rusted water pipes and obsolete equipment in water treatment plants added to the problems. The supply of low-quality water to inhabited regions, the loss of fresh water prior to its delivery to the end consumers and insufficient development of sewer systems are also challenging issues. The degradation of soil (erosion, desertification, etc.) translated into loss of some of the most productive land in the country and loss of pasture area, forcing overgrazing in remaining areas. Waste is also a problem, due to improper regulation of industry and housing, as well as hazardous solid wastes. Burning of garbage in large dumps outside the major cities is a common sight. Since 1978, the Caspian has risen more than two meters. Scientists are still trying to figure out the causes which possibly relate to climatic and hydrologic changes. This has caused concern over the flooding of coastal low lying land and marsh areas, causing habitat destruction, severe loss of crops and top soil on arable land, flooding of disposal sites, industrial areas and oil fields which lead to pollution, salination of coastal areas causing desertification, loss of beaches and infrastructure. The contamination of the Caspian Sea from oil drilling in Baku has been a problem since the 19th century. Although oil production waned during the Soviet period, petroleum waste was routinely dumped into the sea. The Caspian also suffers from the discharge of untreated sewage, and pollution has depleted the sea’s fish stocks. Deforestation due to usage of trees for fuel wood aggravated soil erosion, loss of rare plant species, destruction of habitats of bird and animal species and loss of parks and state reserves. A decline in biological diversity has been observed. Some of the pressures involve: overfishing and limiting the spawning area of sturgeon by damming river passages, lack of agreement and strict enforcement between countries bordering the Caspian, factory wastes discharged into rivers and sea, oil pollution. As of 2001, 11 species of mammals, 8 species of birds, 5 species of fish, and 13 species of reptile were endangered. Endangered species include the Barbel sturgeon, beluga, the Azov-Black Sea sturgeon, the Apollo butterfly, and the Armenian birch mouse. The impacts of climate change are already being seen in Azerbaijan. Changes already occurring include increasing temperatures, shrinking glaciers, sea level rise, redistribution of river flows, decreasing snowfall and an upward shift of the snowline. Within the last 10 years there has also been an increase in extreme weather events, such as flooding, landslides, forest fires, and coastal erosion resulting in significant economic losses and human casualties. Apathy and skepticism about civic participation is commonly found in Azerbaijan. For the most part, ordinary people are not very interested or willing to take part in informal voluntary action. The extent of citizen participation in Azerbaijan is characterised by rather higher levels of participation in non-partisan political actions and charitable giving, and extremely low levels of civic activism at the community level, volunteering and CSO membership. The level of organisation within Azerbaijani civil society remains low, with limited communication and cooperation among CSOs and across the different sectors. The most popular types of CSOs are trade unions (14%) and educational organisations and groups (4%). Membership in each of the other types of CSO does not exceed 3%. The most frequent type of volunteer work includes taking care of the elderly and disabled people, helping in agricultural work and participation in repairing schools. There is a generally low impression of CSOs actions to sustain the environment, although there are several CSOs promoting environmental sustainability. While civil society generally advances some ideas related to environmental protection, independent activities are minimal and most activities are related to and supported by the Ministry of Ecology and Natural Resources in Azerbaijan. Nevertheless, some CSOs actively carry out environmental campaigns and mobilise social interest. There are two types of emission charges, namely charges for emissions of pollutants within the established limits and charges for emissions exceeding those limits. Fines are imposed on polluters for accidental emissions and environmental pollution caused in the absence of established emission permits. All charge and fine rates depend on the environmental conditions in a given area and its ecological significance. If an enterprise causes damage to the environment, it should pay compensation. 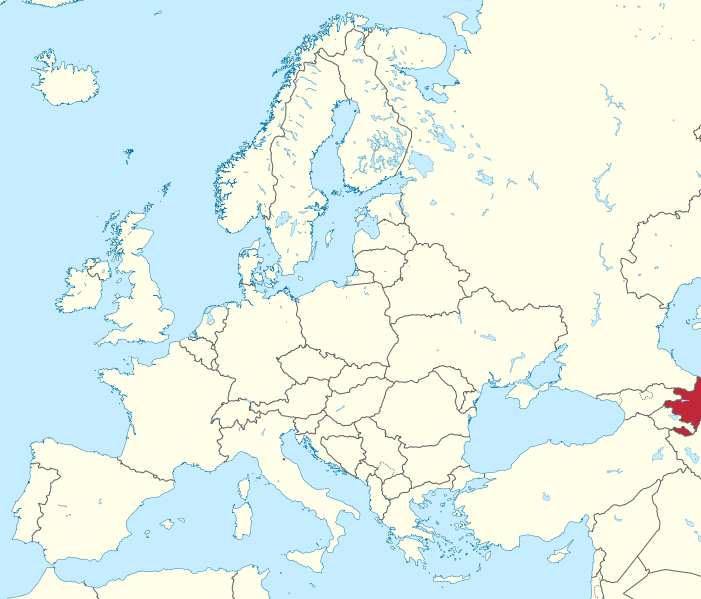 However, the guidelines for assessing environmental damage used by the environmental authorities when preparing compensation claims were developed in the former Soviet Union in the 1980s. The charges and fines are applied for: air pollution, water pollution and abstraction, waste disposal, non-licensed extraction of certain minerals, logging, hunting and fishing. Other economic instruments related to the environment include: oil or mineral extraction taxes and excise taxes on the production of oil and oil products, duties and taxes levied on vehicles, annual property tax on vehicles, transit tax to the entry and transit of foreign-owned vehicles. National Environmental Action Plan (NEAP) puts forward a list of environmental priorities, setting 32 objectives grouped in categories: pollution from industrial production, energy production, transport and other sources; the Caspian Sea; forestry, land and biodiversity; institutional development; and policy. National Programme on Environmentally Sustainable Socio-economic Development (2003) covers the environmental aspects of the country’s overall development strategy. It determines the main areas of sustainable development and includes a plan of action for 2003-2010 “to address the initial phase of the resolution of the current problems”. National Programme for the Restoration and Expansion of Forests (2003) lists activities in ten sub-sectors, along with indicative data on implementation, responsible institutions, financial sources and performance indicators. Within larger civil society and specifically in the mass media, there are significant levels of mistrust regarding corporate social responsibility and responsible “behaviour” of companies. There are very limited examples of positive partnerships between CSOs and businesses. Although some commercial entities support sports teams and the ecological initiatives of CSOs, a large number of social scientists and NGOs leaders consider these collaborations to be merely attempts to counter negative images of the company caused by their questionable activities. In particular, large companies very rarely publish independent reports concerning their social responsibility. However, it should be noted that in 2005 Azerbaijan became the first oil producing country in the world to publish the Extractive Industries Transparency Initiative (EITI) reports, which were examined by an independent audit firm. Moreover, Azerbaijan was also first country to involve civil society in the implementation of this initiative. The reports represent a significant and public step forward in the implementation of the EITI in Azerbaijan and worldwide. To conclude, the private sector does not regard civil society as either a full-fledged partner or as an important recipient of corporate donations. The private sector maintains an indifferent attitude towards CSOs, while establishing their own bodies to donate to social needs. The concept of corporate social responsibility is very new for Azerbaijan, although some positive steps have been taken to implement this concept.